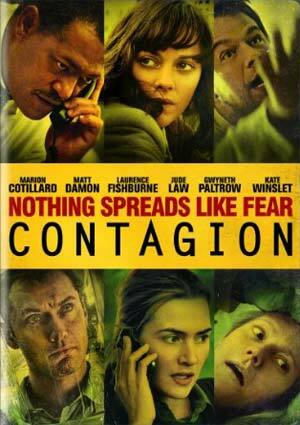 Contagion has some things going for it, but mainly from an acting and technical level rather than the story. The cast is mostly good despite having a limited amount of screen time and Soderbergh’s visual style, while nothing new from what he’s done in the past, still looks stunning and gives the film a certain gravitas yet at the same time I felt like I was more or less a spectator versus becoming involved or entrenched with what was going on. Steven Soderbergh’s latest film since 2009’s The Informant (he did do the Spalding Gray documentary And Everything is Going Fine in between), is a low-key ensemble outbreak drama that I’m still unsure what to think of it. The cast all do fine work for what are essentially limited parts (given each one has to share screen time) but the story never quite hits the finish line. 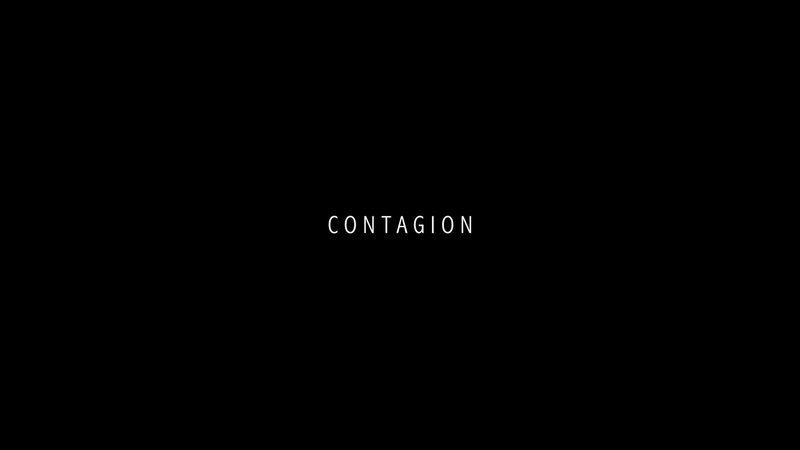 Contagion begins when Beth Emhoff (GWYNETH PALTROW) returns home from a business trip in Hong Kong to Minneapolis with a short layover in Chicago to see an ex-lover. Upon coming home to husband Mitch (MATT DAMON) and her son Clark, she seems to have a bit of the flu bug. Clark also seems to have contracted the bug after he’s sent home from school. Two days later, Beth’s condition seems to be getting worse when she collapses on the kitchen floor. Mitch rushes her to the hospital and despite doctor’s best efforts, Beth dies on the table leaving Mitch in disbelief. But before he can even grieve, he receives a call back home from the babysitter that his step son has also died. Earlier, when we met Beth during her Chicago layover, its mix cut with different events going on around the world from Hong Kong to Tokyo to other countries, one of which is captured on video of a man collapsing and dying and is uploaded to the Internet. This catches the eye of opportunistic blogger Alan Krumwiede (JUDE LAW) who believes something is going on. In Atlanta we are introduced to Dr. Ellis Cheever (LAURENCE FISHBURNE), the head of the Centers for Disease Control and Prevention (a.k.a. CDC), when he receives a visit from Homeland Security who have heard about the events that happened to the Emhoff family. Cheever sends Dr. Erin Mears (KATE WINSLET) to Minneapolis to investigate. There, she examines Mitch and determines that he is immune to the disease that cost the lives of his wife and stepson. Meanwhile, an autopsy is being done on Beth where they find out more about the disease. Back at the CDC, Cheever and Dr. Ally Hextall (JENNIFER EHLE) try to grow the virus in a lab to which they can then find the cure, but their efforts are unproductive. They then send the virus and tests out west to Dr. Ian Sussman (ELLIOTT GOULD) who was on the brink of a breakthrough when, after discovering the worldwide outbreak, is ordered to destroy everything so this deadly disease could not spread further. Because of this discovery, Minneapolis is put under lockdown by the National Guard so Mitch and daughter Jory (ANNA JACOBY-HERON in her debut film) cannot escape the city. During all of this, the outbreak continues to grow and the blogger is slowly getting a following after criticizing the CDC and accusing them of not telling the whole truth. Alright, there’s actually more to this story, one utterly pointless plot point involving Marion Cotillard’s character, another CDC doctor, who gets kidnapped for ransom so a group of villagers could get the vaccine. On the whole, this subplot doesn’t take much time but that’s just the problem, after she’s taken, Cotillard is gone for the duration of the second and third acts before reappearing, months later, towards the end. Mind you, Cotillard is fine in the role, but take it out and it wouldn’t have been missed. As I stated earlier, I’m still not sure what to make of Contagion. On the one hand, it is a well acted, finely paced ensemble piece that tackles a topic that is quite realistic. However, given the fact the movie takes us around the world, the subject seems to narrow that I never quite grasped the intensity of the situation. For instance, the movie tells us that millions around the world have perished due to this disease yet it never had much of an impact. Ditto for the chaos that ensues as panic spreads as people clamor for a supposed cure promoted by the Alan (Jude Law’s character), though on that point I did like that side plot as, through shrewd backhand maneuvers, benefited from the panic. From a filmmaking standpoint, Soderbergh once again does a fantastic job. The color palette seems to be similar to that of Traffic where he goes from cooler tones (blues) to warmer elements (oranges) that give the film a specific look. What I also liked about Soderbergh is that he takes a subject that can be, quite frankly, a complete bore. This is not a movie where there’s a race against time like in Outbreak (a good movie, btw) but instead is a process that takes the viewer over the course of months instead of a day. There are no car chases, no hit men or a conspiracy; it’s a study on human nature with some governmental politics thrown in for realism. Acting wise, ensemble movies are tough to gauge since even the bigger actors don’t get much screen time but here I was impressed with Matt Damon as he got the bulk of the emotional turmoil; Laurence Fishburne gets a few moments using his position to gain an unfair advantage by tipping off his wife (SANAA LATHAN) before the quarantine; and Kate Winslet who probably has the least amount of time and yet brings a certain amount of emotion. I will also briefly mention the score by Cliff Martinez. Although I enjoyed the soundtrack (and actually have it on my iPod), it’s not all that different from his work on Solaris using different types of drums to compose the majority of the score. I know some don’t and won’t like it, but it does at least give the film a different flavor compared with other films. Contagion, which was written by Scott Z. Burns (The Informant, The Bourne Ultimatum), presents interesting and thought-provoking ideas and although I didn’t find the movie all that gripping or involving, based on the cast, their performances and Soderbergh’s style, I’d say it’s worth at least a rental to give it a try. Contagion: How a Virus Changes the World (2:01) – This is an educational animated feature showing how viruses begin and can quickly spread. UltraViolet Digital Copy – Inside the case is a slip containing the code to watch the movie on your favorite mobile device. Contagion is presented with a 1.78 anamorphic widescreen transfer (originally shown in theaters with a 1.85 aspect ratio) and although it mostly looks good, you do get some pixilation and artifacting in certain parts. The Dolby Digital 5.1 track is perfectly acceptable given the movie is primarily dialogue-driven. The track does get some depth with Martinez’s score but otherwise most of the audio comes via the center channel while the others are used for ambient noises (or in some scenes, screaming). Overall, Contagion has some things going for it, but mainly from an acting and technical level rather than the story. The cast is mostly good despite having a limited amount of screen time and Soderbergh’s visual style, while nothing new from what he’s done in the past, still looks stunning and gives the film a certain gravitas yet at the same time I felt like I was more or less a spectator versus becoming involved or entrenched with what was going on.